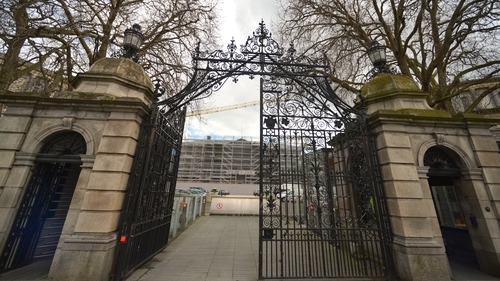 There are some key unanswered questions about the claims made in the Dáil today, that a termination of pregnancy was apparently refused at the Coombe Hospital in Dublin, in the case of a woman carrying a baby with a fatal foetal abnormality. What we now know, following a statement this evening from the Coombe, is that its Board had no role in determining if the criteria for certification of a fatal foetal abnormality had been met in this case. It did not refuse a termination and the Board or directors have no such role. There is no law, or guidelines, on when a termination of pregnancy can take place involving a fatal foetal abnormality. The Institute of Obstetricians has said that the guidelines - which will include this area - are expected next week. We must be mindful that a woman with this medical condition is at the centre of this public discussion of her circumstances. She is also facing a tragic outcome for her pregnancy. The Coombe also said tonight that it can not comment on individual cases due to patient confidentiality. The Coombe already stated at the start of the year that it would not be providing termination of pregnancy services, until it was satisfied that the necessary resources had been put in place. This position remains on the hospital website. So it is a bit confusing tonight that the Department said it had been advised that the Coombe is currently providing terminations in emergency situations and in cases of fatal foetal abnormality. When I asked the Coombe this evening, about that statement from the Department, it said it was making no further comment beyond what is disclosed on its website. The Department said the HSE continues to engage with the Coombe Hospital with "a view to ensuring full commencement of service provision as soon as possible". The Coombe has previously said it is fully committed to providing abortion services under new legislation. The Department of Health said tonight that where a patient requires care not available in a particular location, the patient should be transferred to a hospital/service where the necessary care is available. It also cited the appeal mechanism for patients if a doctor will not certify that a termination of pregnancy should be performed. It may be that this case will need to be referred to another hospital that is providing services. Most such cases of fatal foetal abnormality are determined around 20 weeks on scans and must be certified by two doctors as a fatal foetal abnormality, as set out in law. Then it would be up to the patient and doctor to decide on how to proceed. These terminations would be medical and performed in hospital. In this case, it was reported in the Dáil that two consultants have confirmed it as a case of fatal foetal abnormality. It is unclear from the Dáil claims who suggested that the woman should wait four weeks to see if there was a spontaneous miscarriage. Deputy Bríd Smith told the Dáil she was contacted by the woman who asked for the case to be raised in the Dáil. We should await more clarity on what has occurred and be sensitive to the situation the woman finds herself in.